Fixing the leak in the exhaust did help a bit but wasn't enough. The manifold was also leaking and turned out to be bent a bit. After flattening it and remounting with a new gasket the engine runs like new! Solid and sound! Perhaps a new muffler one day and it'll be extra smooth. 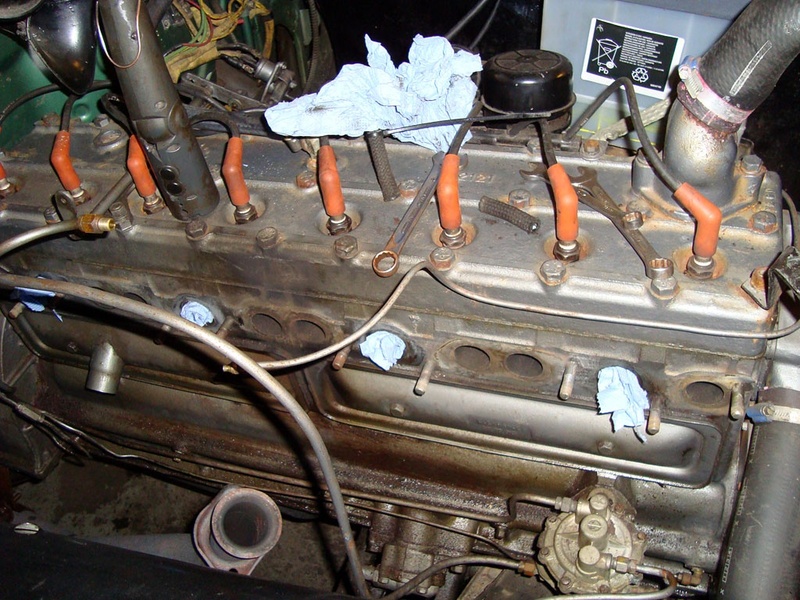 I also renewed some fuel-lines, repaired a hole near the hydramatic, new coolant lines, refreshed the coolant itself, removed air in the radiator underneath the front seats, put on a selfmade gasket on the carburetor and removed some rust. 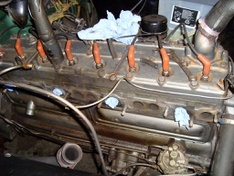 Engine without manifold, carburetor and air filter. 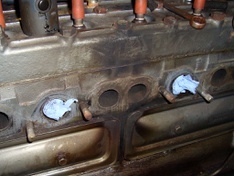 The black spot on the right is the middle of the manifold. The soot clearly shows a leak. Part of the hydramatic. It's supposed to have a tiny hole (which is still there) but in my case it was damaged. 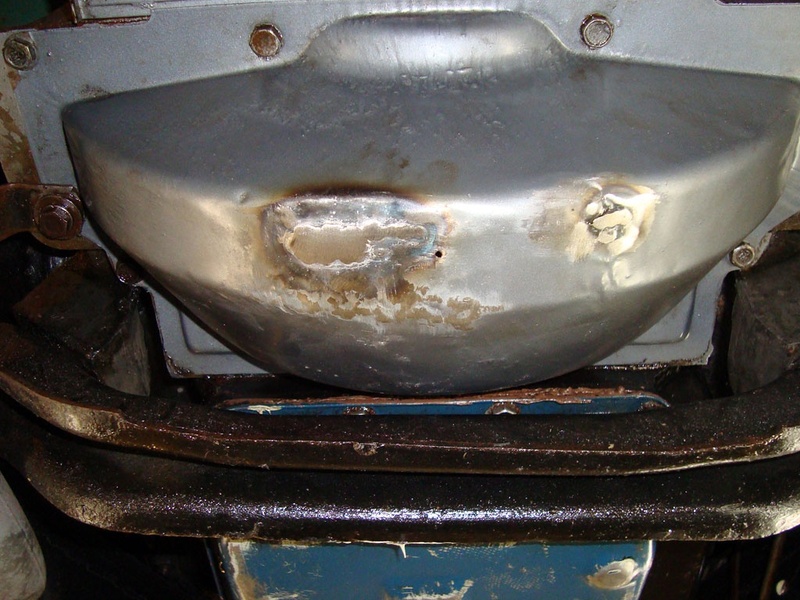 To prevent dirt on the inside it's better to seal the damaged hole.